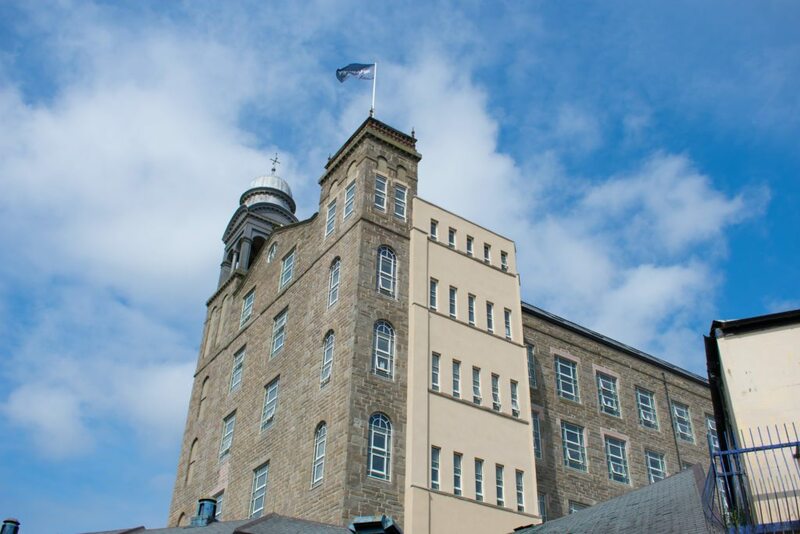 Hotel Indigo, which used to be the Baxter Brother’s jute mill is currently being restored on a historic site off of Lower Dens Mill, Constable Street in Dundee. The builders are closely working with Historic Scotland to meet build requirements and preserve some of the original architecture. Hotel Indigo Dundee will have 102 stunning and unique boutique guest rooms to include 12 junior suites. Avian Communications have been working alongside management at Hotel Indigo to design promotional materials, while Blue2 have been managing Hotel Indigo’s digital marketing accounts. The Blue2 marketing team have seen a large amount of digital followers within the first month of launching social accounts which confirms interest in the build of the hotel. It is a pleasure working on Hotel Indigo’s accounts. Hotel Indigo is opening at the right time, in an industry that is constantly driving exports and having a huge impact on social and economic life. Travelers will visit Hotel Indigo in Dundee simply because it highlight’s Dundee’s rich heritage and introduces Dundee themed elements around the hotel. 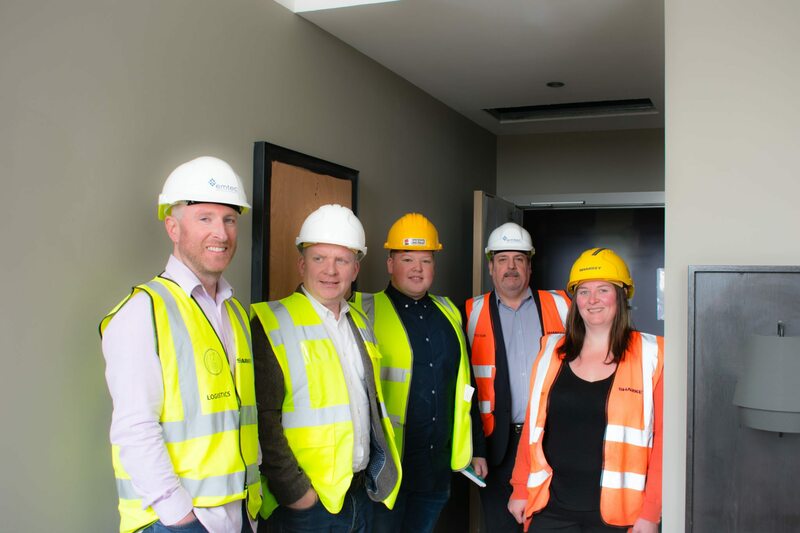 General Manager, William Inglis has confirmed that the hotel build is right on schedule and booking is currently available from the 31st of August. The hotel is taking shape and the rooms on the top floor just need to be cleaned for the opening. All of the rooms that were visited felt very spacious with magnificent views of Dundee. One of the suites had a beautiful view of the River Tay. Original brickwork and piping were exposed in some of the rooms, which gave it a very modern and trendy look. Some of the original colours of the Jute Mill will also be used in the halls and around the hotel. 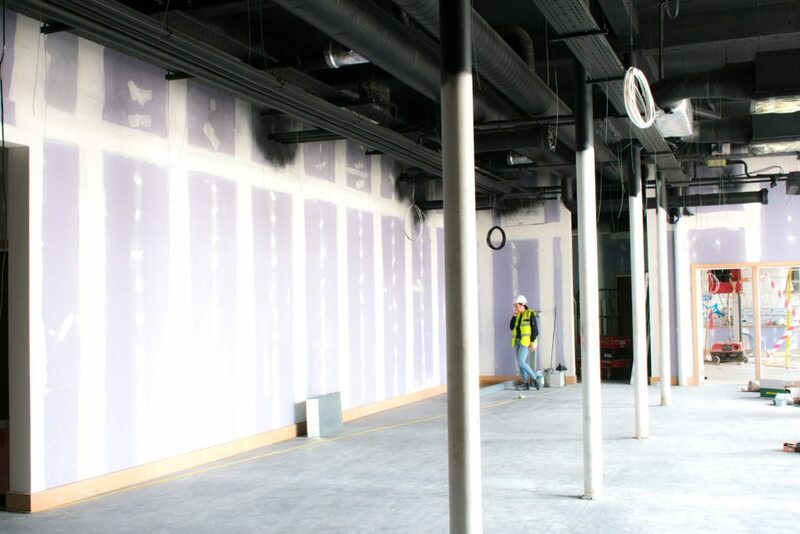 There are going to be many Dundee themed elements in the hotel, which is very exciting! 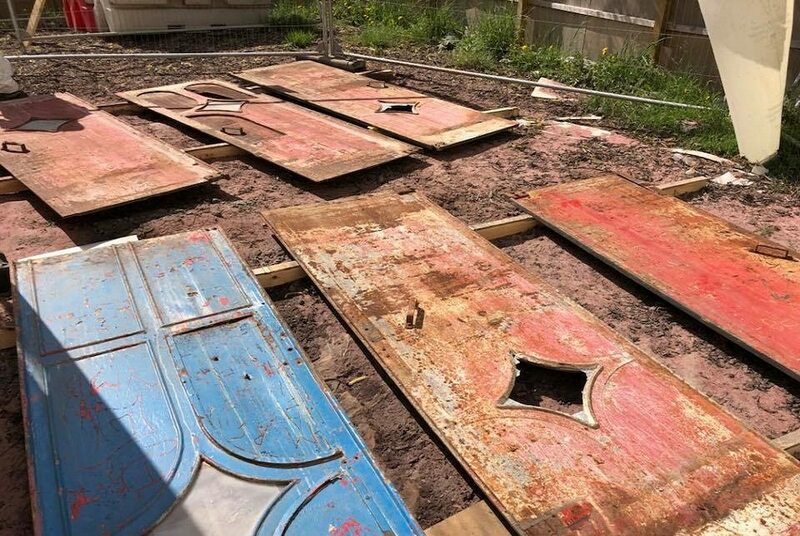 We really loved the work that Blast Clean Scotland did on restoring six cast iron elevator doors (see photo below) and it’s good to know that original features will be standing when the doors open. It’s certainly what people want to see when they go to a boutique hotel that is focused on history and culture.